Jim Younkins models the freelanced Mud Bay & Southern Railway and the Burlington Northern, the Milwaukee Road, and the Union Pacific. 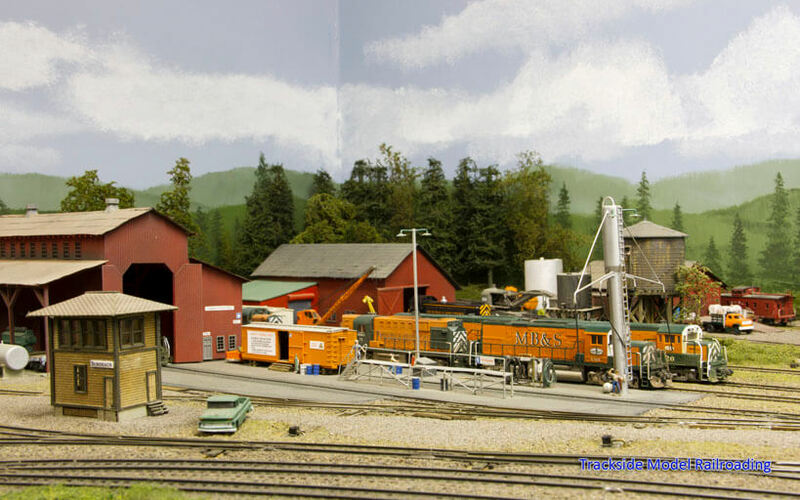 His large N scale layout is set in western Washington in the early 1970s and includes many large scratch-built industries and impressive scenery. We have created two videos of the layout, one showing the MB&S and the Burlington Northern, and one of the Milwaukee Road. We have included even more pictures than usual, as this layout is quite large and we want you to get a full tour. 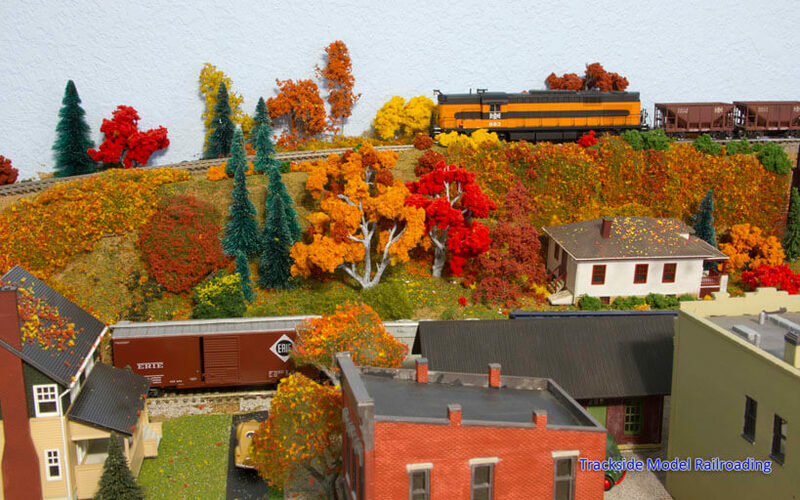 Set in the mid-1950s in the Greenville, Pennsylvania area, this layout built by Diane Kraus features the Bessemer & Lake Erie, the Erie, and the Pittsburgh & Lake Erie Railroads. She models the Kremis to Osgood subdivision in autumn. You will enjoy seeing the town of Greenville and rural Pennsylvania full of fall color, making this a perfect layout to enjoy for this October. A short video is included. 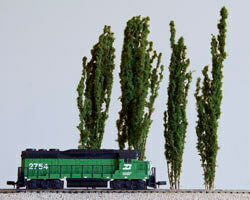 We show you how to make N scale poplars for your own layout using sagebrush cuttings. 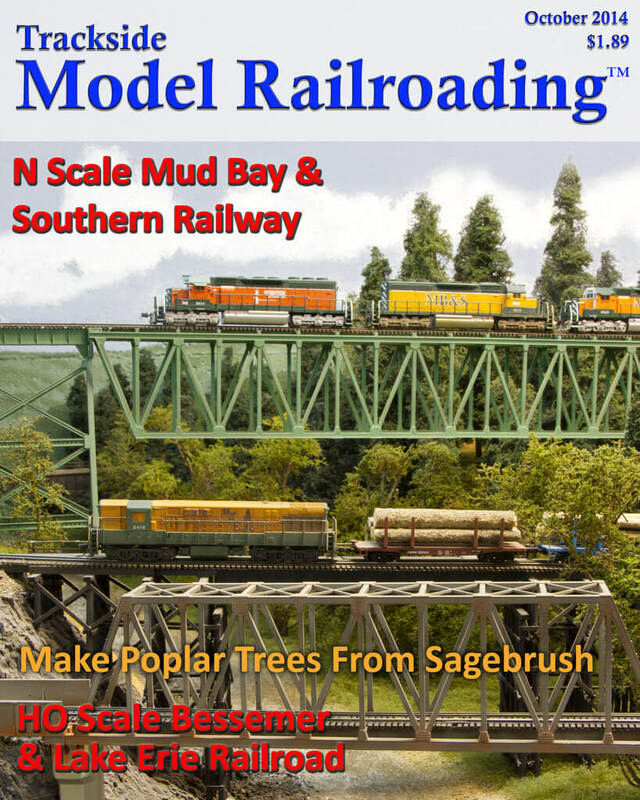 This is an easy project for any modeler who has access to sagebrush. HO trees are also possible if you can find large enough branches, and the poplars are very realistic and inexpensive to make.